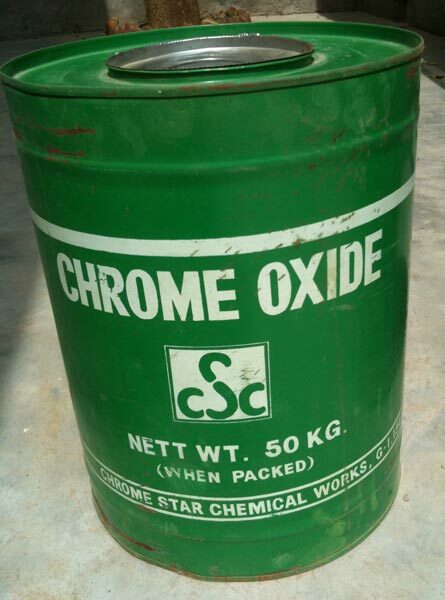 Backed with rich experience & knowledge, we are considered to be one of the most professional manufacturers and exporters of Chromium Oxide Green chemical. This type of chromium oxide finds wide usage in varied industrial applications like polishing gemstones, pigments, ceramics, metallurgy, grinding wheels and refractory. At our end, we offer a wide range of Chromium Oxide Green in pigments & ceramics for its sharp color and large coverage area. These are offered to our clients at market leading prices.